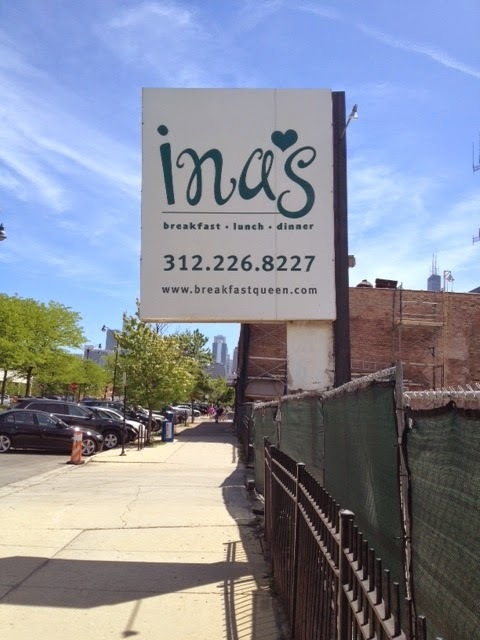 After 33 years in the food business, Ina's closed it's doors on December 31, 2013. I captured the photo (as shown above) a couple of weeks ago when I was in the neighborhood and thought I better grab it while I could before the sign is taken down. Who doesn't have wonderful memories of eating at Ina's? Ina Pinkney fed Chicagoans for more than three decades. We will miss her delicious food and wonderful, caring spirit. If you want to hang with Ina outside of the restaurant world, visit her on Twitter (@breakfastqueen1).